Neglect, ignorance and industry influence raise doubts about a Romanian pledge to fight the hidden scourge of gambling addiction. Read more. The campaign for Macedonia's December 11 early general election officially got underway on Monday with rallies planned for Prilep, Ohrid, Lipkovo and the capital, Skopje. Read more. As the Turkish government continues jailing its opponents, relations with Brussels are feeling the strain. Read more. Today marks 21 years since the Dayton Peace Agreement was signed in Dayton, Ohio, ending the 1992 to 1995 war in Bosnia and Herzegovina. 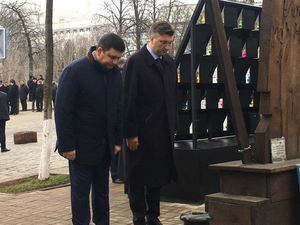 During his first official visit to Ukraine as Croatia’s Prime Minister, Andrej Plenkovic, along with his Ukrainian counterpart Vladimir Grojsman and Ukrainian President Petro Porosenko, paid his respects on Monday to the victims of the 2014 Euromaiden protests in Independence Square in Ukraine’s capital, Kiev. He also paid his respects at the Tomb of the Unknown Soldier and the monument dedicated to the victims of the Ukrainian famine, the Holodomor, which occurred from 1932-33 under the reign of the USSR. Croatian non-profit media outlet Forum.tm has started the first crowdfunding campaign in the history of Croatian media. The website is trying to raise 4,700 euros through the online Indiegogo platform, by offering a variety of prizes for its readers that want to support their work, ranging from symbolic awards to books and positions as extras in the second season of the new TV series 'Newspapers'. The president of Serbia’s Independent Journalists’ Association of Vojvodina, NDNV, will boycott the regional conference of the South East Europe Media Organisation, SEEMO, in Belgrade on Monday because Serbian Prime Minister Aleksandar Vucic will be opening the event, NDNV announced on their website on Monday morning. Vucic’s attendance at the conference is “a slap to all the journalists who are victims of political violence of the government that Aleksandar Vucic symbolises”, NDNV quoted Sejdinovic as saying in an open letter he wrote to SEEMO. In the letter, he also claimed that the prime minister is a “proven enemy of press freedom”. 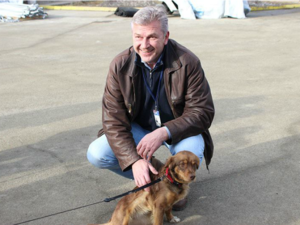 In September, Sejdinovic and his colleague, NDNV programme director Dinko Gruhonjic, received death threats via an anonymous letter, and while the case was reported to the police, no information has so far surfaced about who the possible suspects behind the threats were. Croatia has filed a diplomatic protest note to Slovenia for erecting a border fence along the Cabranka river, on territory that according to land registers belongs to Croatia, the Croatian Foreign Minister, Ivo Davor Stier, said on Monday. Stier said that since Slovenia failed to reply to the initial note issued on Wednesday, it has now raised the matter to ministry level. Serbian Prime Minister Aleksandar Vucic praised relations between Serbia and Hungary during a press conference with his Hungarian counterpart Viktor Orban in the southern Serbian city of Nis on Monday, highlighting that new border crossings between the countries and new infrastructure projects are in the plans. During the press conference, held after the two premiers had a private meeting, Orban announced that a new border crossing with Serbia in the town of Rastina will be opened next year, and another in the town of Rabe in 2019. In terms of infrastructure, the leaders announced that new rail routes between Budapest and Belgrade, as well as between the Hungarian towns of Baja and Szeged via Subotica in Serbia, would be created. A group of political science researchers from Macedonia and abroad has launched an online tool called "Electoral Compass", aimed at helping Macedonian voters to find the political parties that are most aligned with their views. The tool gets users to answer a simple questionnaire on current social and political issues to determine which party they are best matched with. Its launch on Monday coincides with the start of the election campaign for the December 11 early general elections, which come amid the country’s deep political crisis. Croatian Prime Minister Andrej Plenkovic said in Kiev on Monday that both Ukraine in recent years and Croatia in the 1990s were "victims of brutal military aggression" by Russia and Yugoslavia. 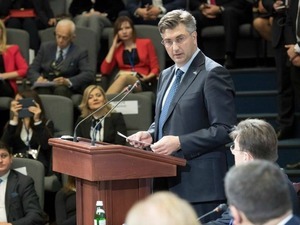 Plenkovic stated that Croatia supports the territorial integrity, sovereignty and independence of Ukraine, and supports the implementation of the policy of non-recognition of the "illegal annexation of Crimea". 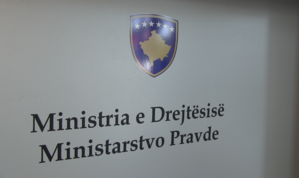 Kosovo’s Ministry of Education, Science and Technology, MAST, gave the first certified diplomas to Serbs who graduated from the University of North Mitrovica, in the Serb-run north of the country, after a year-long verification process. Out of 170 applications by Serb graduates, MAST has certified 130 diplomas. Although there is an agreement between Kosovo and Serbia for mutual recognition of diplomas, the Serbian minority in Kosovo has faced difficulties in employment due to non-recognition of the diplomas from this university under Kosovo’s educational system. Jakob Finci, who launched the famous Sejdic and Finci case in the European Court of Human Rights about the position of minorities in Bosnia and Herzegovina, has said on the 21st anniversary of Dayton that in order for the constitution to be changed, politicians must first agree. It was too dangerous to change Dayton, the agreement that ended the Bosnian war of 1992 to 1995, until the entities of Bosnia can decide together on their future, he was quoted by local media as saying. 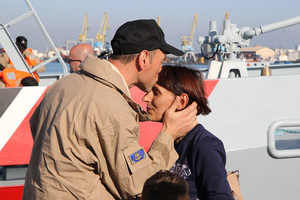 The Albanian navy vessel "Orik" departed from the port city of Durres today with a staff of 21 on board to join the NATO “Sea Guardian” operation in the Aegean Sea. 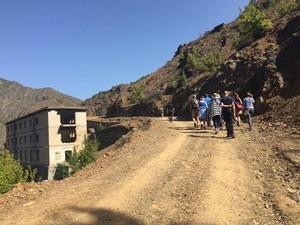 Albania’s Defence Minister, Mimi Kodheli, said that as a NATO member, Albania has sent soldiers to every ‘hotspot’ in the world, but now fresh challenges lie closer to home, and their defence forces need to be ready. One person was killed and two others were severely injured in a fight between migrants in the Serbian capital of Belgrade on Monday, Serbian police told Tanjug news agency. 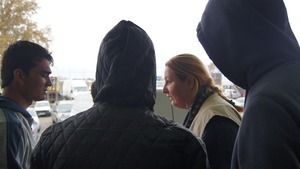 A man from Afghanistan was murdered in the brawl, according to Tanjug’s report, while doctors are still working to save the lives of the other two injured migrants. Police have arrested five people who allegedly participated in the fight. About a dozen journalists, including those from Serbian investigative media organisations CINS, KRIK and BIRN, walked out of the South East Europe Media Forum in Belgrade during the session with Serbian Prime Minister, Aleksandar Vucic, protesting over the decision that the PM would only take questions from foreign journalists. 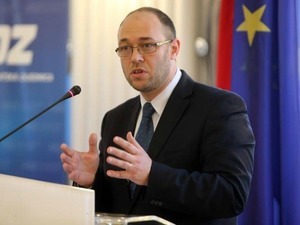 The conference, at which Vucic spoke about the state of the Serbian media and media freedom, was organised by the Central European Initiative (CEI) and the South East Europe Media Organisation (SEEMO). Independent media organisations, as well as different international organisations, have long been criticising Vucic and his government for their ill treatment of the media. NATO Secretary General Jens Stoltenberg on Monday urged member states to ratify accession agreement for Montenegro as soon as possible. Speaking at the plenary session of the NATO Parliamentary Assembly in Turkey, Stoltenberg said what remains to be done is the ratification of the accession agreement for Montenegro. "It has to be done in all 28 parliaments, so I urge those countries who have not yet ratified the accession agreement for Montenegro to do so," Stoltenberg said. Despite the parties having signed a code obliging them to behave decently, observers say Macedonia is in line for another bare-knuckle fight that will likely include intimidation, lies and blatant appeals to ethnic fears. Read more. The Turkish government’s crusade against the exiled cleric Fetullah Gulen has left staff and students at a chain of schools in Bosnia feeling vulnerable. Read more. Manushaqe Shehu, the first woman in the Balkans to become a General, says she owes her success to her family’s support - while also leaning on a motto of America’s wartime hero. Read more. Tourist numbers are getting stronger in Bosnia and Herzegovina, according to official figures. Overnight stays by visitors in September this year were 13.3 percent up on the same month last year. Polish people made up 7.1 percent of stays, while tourists from Italy made up 6.6 percent of the total figure, and from Turkey, 6.5 percent. Representatives of 19 chambers of commerce and business associations in Albania are demanding that parliament not repass a law that will mean every business operating in Albania will need to be listed as a member of the central Chamber of Commerce. The law was initially passed in parliament in September, but was not decreed by Albania’s President, Bujar Nishani, but now parliament is expecting to pass it again. The business representatives claim that the law is anti-constitutional and that it disrespects their rights to choose which chamber or association they want to belong to. Montenegro's Ministry of Justice sent a request to Russia on Tuesday to provide a hearing for two Russian nationals - Eduard Vladimirovich Shirokov and Vladimir Popov Nikolajevich - who are suspected of having been at the head of a criminal organisation which had a purpose to "cause bloodshed, attacks on state institutions, to arrest and kill Prime Minister Milo Djukanovic", and permanently destabilise the country. Montenegro also asked Serbia’s Ministry of Justice to arrest and extradite Serbian nationals Predrag Bogicevic, Nemanja Ristic and Milos Jovanovic, who are accused of being part of an organised criminal group that was preparing terrorist attacks on Montenegro’s election day on October 16, according to Podgorica-based daily Pobjeda. The home of Kosovo’s chief prosecutor, Aleksander Lumezi, was robbed at 4am on Tuesday morning and the culprits remain at large. A spokesperson for the State Prosecution confirmed for BIRN that unknown persons broke into Lumezi’s house on Xhevat Qena street in the capital, Pristina, and stole a number of items, but did not give any additional details. Inspectors from Kosovo’s Ministry of Justice have suspended the acting head of the prison in Prizren and three other staff members after they determined that negligence of procedures had occurred when investigating the recent death in detention of Vetevendosje activist Astrit Dehari. Alongside the acting prison head, two supervisors and one correctional officer were suspended. The announcement comes 17 days after Dehari died in what the Kosovo Forensic Department said was an act of suicide, after he was arrested on suspicion of terrorism for allegedly throwing an explosive device in parliament. Azra Basic, who is suspected of war crimes allegedly committed in Bosnia and Herzegovina, was extradited today from the US. Basic is under investigation for alleged war crimes against Serbs in the northern town of Derventa in 1992. Montenegro's ruling party of Milo Djukanovic has reportedly agreed to cede the Bosniak Party three high-ranking cabinet positions in exchange for its support, ending several weeks of wrangling over the formation of a new government. Read more. Croatian ministers, police and intelligence services will be involved in planning an integrated ‘homeland security’ system to address the risks from terrorism, the refugee crisis and other potential threats to stability. Read more. A Constitutional Court ruling on a property dispute over military facilities could help Bosnia move towards membership of NATO but also spark a new showdown between the country’s Serbs and state institutions. Read more. Albania’s former Vice-Minister of Social Welfare and Youth, Gentiana Sula, has been proposed by parliament to head the state office that will be in charge of opening the country’s Communist-era secret police files. Sula is expected to be voted in to the role tomorrow during the parliamentary session, and with her appointment as chairwoman, the much awaited institution is expected to start work. Last week, five other members of the office were voted in. After Zagreb Mayor Milan Bandic ruled that all florists traditionally present in the Croatian capital’s Petar Preradovic Square - widely known as the Flower Square – must move their blooms inside their kiosks, citizens began a call on Facebook for people to go and lay a flower in the middle of the square on Wednesday at 4pm. 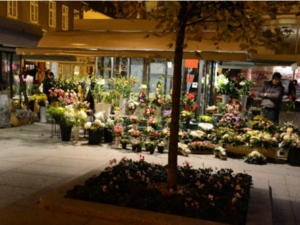 The Mayor made his decision regarding the florists because their flower displays, according to the city administration, are “choking traffic and communication of pedestrians”. In a bid to help young Croatians get on the property ladder, the Croatian government plans to offer co-financing on 50 per cent of the monthly rate of home loans for the first four years for first-time buyers, Croatia’s Construction and Planning Minister, Lovro Kuscevic announced on Wednesday. The government’s new plan, aimed at assisting young people and couples under 45 who are looking to buy their first apartment, is being introduced after it decided to withdraw the previous measure of cutting tax payments on property transactions for the first piece of real estate citizens bought. Kuscevic reassured the media that this is not an attempt by the government to help banks in giving loans after financial institutions previously threatened to file lawsuits against the government for the financial losses they suffered after they were required to convert loans citizens took out in Swiss francs into euros. Graffiti has been spotted in Banja Luka, the administrative centre of the Bosnian entity of Republika Srpska, supporting journalist Slobodan Vaskovic, who is reported to have fled the country. "Fascist, there are those of us who are brave and free like Vaskovic and more than you and your gestapo can imagine," the graffiti reads. Vaskovic, whose articles were frequently critical of those in power including President of RS, Milorad Dodik, wrote on his blog on Sunday that he had left the country due to safety concerns. Bosnia and Herzegovina's Constitutional Court has rejected an appeal by Republika Srpska in which RS insisted that it, and not the state, owns the military facilities on the Veliki Zep mountain near the town of Han Pijesak, 70 kilometres north-east of Sarajevo. The ruling follows years of political bickering related to the ownership of the 63 military facilities previously owned by the former Yugoslav People’s Army in Bosnia and Herzegovina, in which NATO has showed an interest. Their proper registration in the cadastre as state property has been the last remaining condition for Bosnia’s NATO Membership Action Plan, which has been on the table since 2009, to finally be activated. A protest was held in Sarajevo as officials attempted to give a tour of a new pavement outside Bosnia's presidency building intended to improve wheelchair access along one of the capital's busiest boulevards. The pavement took several months and cost about 180,000 euros to build - a price-tag that provoked the ire of some residents, who say Bosnian state funds should be spent helping the hungry instead. One protestor lay on the controversial pavement, tapping a spoon against an empty bowl to illustrate the problem of poverty in Bosnia. 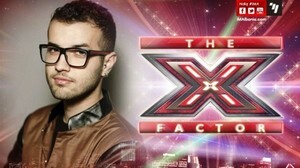 The tragic deaths of two Albanian youths, including 20-year-old Ergi Dini, the 2014 winner of the Albanian X Factor talent show, in a motorbike accident on Tuesday has caused the public and authorities to rethink security measures in the country. The two victims lost their lives while driving recklessly without wearing helmets. After the news of the accident broke, many Albanians took to social networks to ask the police to be stricter when it comes to enforcing safety measures for motorbike riders. NATO’s secretary-general Jens Stoltenberg said on Wednesday that no one has the right to try to stop Montenegro from joining the military alliance or interfere with elections in the Balkans state. The Bulgarian nationalistic Patriotic Front coalition, or PF, which is made up of the National Front for Salvation of Bulgaria and VMRO, is ready to form an interim government following the resignation of Boyko Borissov’s government, its leaders announced on Wednesday after a meeting with President Rosen Plevneliev. Krasimir Karakachanov, president of VMRO, said that the Front has agreed to take the mandate for forming an expert cabinet if the Council for National Security, which President Plevneliev is forming next week, expressed agreement and readiness for this to happen. After GERB’s resignation over its candidate’s failure in the presidential election in November, Bulgaria’s second-largest party, the Bulgarian Socialist Party, or BSP, refused to form an interim government. Borissov said on Wednesday that his party, GERB, which remains the largest in parliament, will not support a cabinet formed by the PF. Macedonia's main opposition party is still mulling whether to use its published wiretaps of official conversations - known as 'bombshells' - in the election campaign, or concentrate on offering the country 'a way out' of its current impasse. Read more. Kosovo activists, journalist, artists and NGOs called another rally on Thursday, demanding an international investigation into the death of jailed Vetevendosje activist Astrit Dehari. Read more. Despite funding setbacks and broken promises of support, the War Childhood Museum will open in Sarajevo in December to exhibit people’s personal mementoes of growing up during the conflict, its director says. Read more. Workers from the student centre in the Croatian capital of Zagreb are protesting in front of the government building, demanding that a collective agreement that would guarantee their existing rights and introduce some additional ones be signed. The protesters are calling Prime Minister Andrej Plenkovic to address the issue, while the special intervention police have put up a temporary barrier around them to contain the demonstration. The European Parliament voted on Thursday to freeze EU membership talks with Turkey as a result of the government’s ongoing crackdown following the failed coup attempt in July. The non-binding motion, which Turkish President Recep Tayyip Erdogan has already dismissed, was passed by a big majority, with 479 votes for, 37 against and 107 abstentions. MEPs have vowed to review the temporary freeze when the "disproportionate repressive measures" in Turkey are lifted, the BBC reported. The motion comes after Brussels warned over the weekend that it may impose economic sanctions on Turkey if the crackdown against the opposition continues, and could abandon accession talks altogether is Ankara restores the death penalty. Addressing the European Parliament on Thursday, MEP Kati Piri stated that “the current situation [in Turkey] leaves us [the European Parliament] with no other choice than to call for the temporary freeze of the accession talks." Her speech was delivered prior to the parliament's vote to halt the membership talks with Turkey because of the government's ongoing crackdown following the attempted coup in July. Piri also stated that “we [the European Parliament] acknowledge the importance of good EU-Turkey relations, and remain committed to keep Turkey anchored to the EU”, but added that "if we take our own values seriously, we must send a strong political signal." The Croatian Journalists' Association, HND, and weekly Nacional are organising an event to mark the 20th anniversary of mass protests that took place in 1996 to save the Independent Zagreb Radio 101 station, one of the only media outlets that opposed the nationalist regime of Croatia’s then President Franjo Tudjman. Faced with losing its broadcasting concession based on the decision of the state council for telecommunications, which at the time was dominated by the ruling right-wing Croatian Democratic Union, HDZ, around 100,000 citizens came to Zagreb's central square on November 21 in 1996 to take part in protests. Pressured by citizens and even some diplomats, the council’s decision was changed and Radio 101 was allowed to continue to broadcast. The event, which will be held in Zagreb's Museum of Contemporary Art, will include an exhibition of photos from the protest, a screening of the 'Radio 101 Independence Day' documentary, and a concert with numerous bands on the bill. Primary and secondary students in Bosnia will learn about corruption in school, according to local authorities. 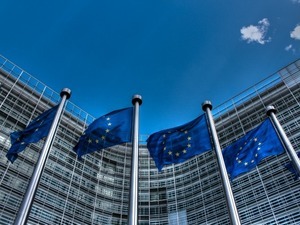 On Thursday it was announced that a working group will plan how schools are to tackle the thorny topic in one of the countries rated the worst for corruption in Europe by Transparency International. 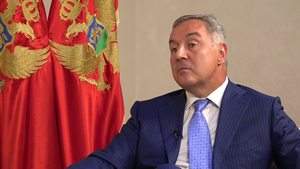 Legal experts and Montenegro’s opposition parties have criticised a court’s decision to grant "protected witness" status to Aleksandar Sindjelic, the main suspect in a plot to kill Prime Minister Milo Djukanovic. Read more. After spending two months with members of the Salafi movement in Bosnia, social psychologist Srdjan Puhalo says it is time to stop demonizing the community as terrorists. Read more. The Croatian government's announcement that it is replacing senior executives in state companies without use of public tenders has triggered accusations of a 'political purge'. Read more. War verterans from Bosnia’s Serb-dominated entity Republika Srpska, RS, demanded on Thursday for a referendum to be held on Bosnia's property dispute over military facilities. RS Prime Minister Zeljka Cvijanovic supported the notion for the referendum. The call came after the country's Constitutional Court rejected an appeal from RS which insisted that it, and not the state, owns the military facilities on the Veliki Zep mountain near the town of Han Pijesak, 70 kilometres north-east of Sarajevo. The Constitutional Court confirmed previous decisions made by Bosnia's state court in the first instance and the state court’s Appellate Council in the second instance, the RS authorities will have no more legal remedies and will be obliged to register the military facility in Han Pijesak as the property of the state. Ranko Ostojic, one of two candidates in Saturday's election for the president of the Croatian opposition centre-left Social Democratic Party, SDP, has called for the party’s members to come out to vote in the biggest possible number at a press conference on Friday. He said that his opponent, Davor Bernardic, president of SDP's Zagreb branch, is steering away from public debates with him on TV and therefore is not suited to be the party president, who will have to "take part in other battles". Branimir Bunjac from Croatia’s opposition anti-establishment Living Wall party voiced his opposition to sending Croatian soldiers to Afghanistan during a parliamentary debate on Friday on whether additional troops should be sent on international humanitarian and peace operations. 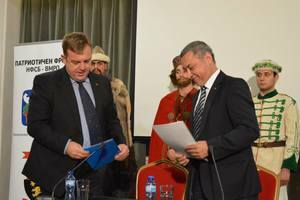 Bunjac said that his party opposes sending soldiers to Afghanistan because it is "not a peace operation, but a military operation" in a war "with no end in sight". He concluded that Afghani rebels are falsely being referred to as "terrorists" and that NATO's fear of Russia coming closer to "warm seas" over Afghanistan is a motive for the war. Two crews of Croatian pilots are helping put out massive forest fires in central Israel today after being sent there to help local emergency crews tackle the infernos that are threatening the homes of those living in the region. The Croatian government confirmed it had sent two crews to Israel after Israeli Prime Minister Benjamin Netanyahu sought international help over the fires. Turkish President Recep Tayyip Erdogan has warned the EU that he will open the gates for hundreds of thousands of migrants to enter Europe if the EU pushes him, the BBC reported on Friday. "Listen to me: these border gates will be opened if you go any further," the BBC quoted Erdogan as saying in its warning to the EU. 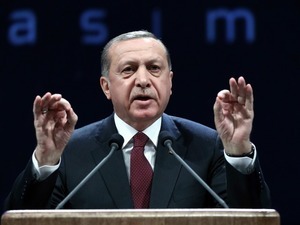 Erdogan’s statement comes after MEPs voted on Thursday to temporarily freeze EU membership talks with Turkey because of the government’s ongoing crackdown on its opponents following the attempted coup in July. In March, Turkey and the EU signed a controversial ‘one-in-one-out’ migrant deal in which refugees who arrive in Greece and do not apply for asylum or are rejected are sent back to Turkey, but for each one returned, the EU will resettle another who has made a legitimate asylum request. Bosnia’s Serb-dominated entity, Republika Srpska, RS, is hosting an auction on December 7 to sell six-month treasury bills, with the hope of raising 5.1 million Bosnian marks (approximately 2.6 million euros) to go towards plugging the holes in the budget deficit, Reuters reported on Friday. Meanwhile, the IMF, which approved a 553.3-million-euro loan on September 7 to be dispersed over the next three years, is expected to discuss the first review of Bosnia's economic progress at the beginning of 2017. If the review is approved, the IMF will be able to release the second installment of the loan, which will be around 80 million euros, it stated in a press release on Tuesday.